Now, I've got to go get ready for work, where I'm assisting with the budgeting and planning for next year. What? you mean next year is only a few months away?!?! WHERE did the year go??? I am so jealous!!!! 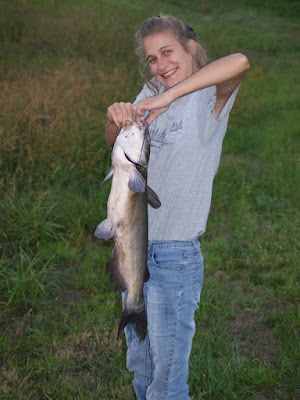 My biggest cat fish catch was about a pound.